The throat chakra is the gatekeeper between the heart and third eye chakras. It holds both love and wisdom as well as stories from this lifetime and the past. Our words create energy in the form of frequency, intention and tone. It is important to use words wisely for every word creates a vibration that ripples throughout the universe. The energy of breath is the primordial essence of creation. 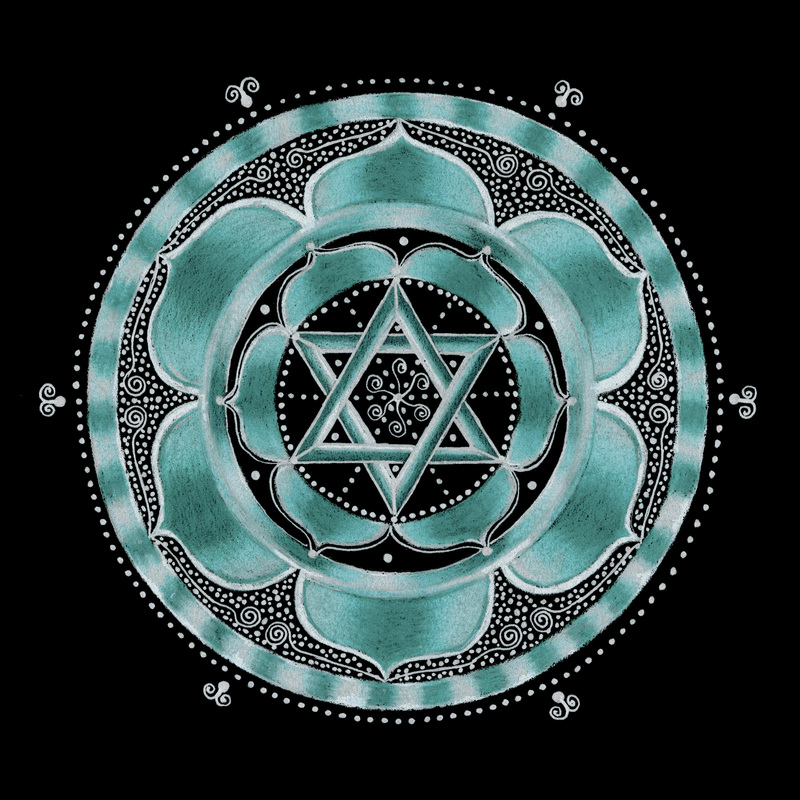 The throat chakra is the place of communication, it holds the roots of our collective stories within the psyche. Here we can heal our stories by knowing and speaking our truth with love. Body System: Throat – Vocal System. Goals: Clear communication, creativity, resonance, truth. Practice: Be true to your word, and see how your words or your silence affects you and the world around you. Malfunction: Losing your voice due to untruths or fear of speaking the truth. Not speaking from the heart. Issues: Lying, being lied too, having to hold too many family secrets. Not being able to tell the truth without fear. Symptoms of Imbalance: Shyness, silence, lying, sore throats, stiff neck. Plant Ally: Elderberry for soothing. Essential Oils: Chamomile, Gardenia, Bergamot, Spruce. Foods: Fruits, especially juicy fruits such as oranges, lemons, limes, apples, pears, cherries, mangos, kiwi, peaches, melons. Stones & Crystals: Amazonite, Celestite, Sodalite, Angelite, Aquamarine, Blue Calcite, Turquoise, Azurite, Chrysocolla, Blue Fluorite, Blue Lace Agate, Blue Kyanite, Lapis. Sacred Geometry: Fruit of Life. Message: Are you speaking truthfully, do you know your truth? The throat chakra will help you speak your truth from a place of love, compassion and peaceful power.